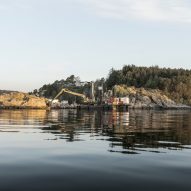 This movie shows the completion of Europe's first underwater restaurant, designed by Snøhetta, as it is submerged off the coast of Båly, Norway. 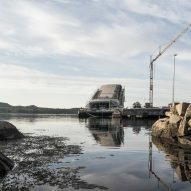 Snøhetta constructed Under on a barge 20 metres from its final site over the course of six months, before it was manoeuvred and sunk in July 2018. 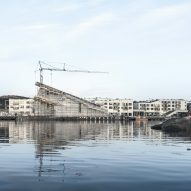 The time-lapse footage condenses the final day of structural work on the 495-square-metre building as it is submerged like a "sunken periscope". Under takes the form of a concrete tube fronted by a large panoramic window. 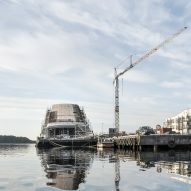 Once its structure was complete, watertight and weather-proof, it was lowered into the sea. 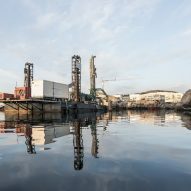 It was then delicately moved to its final location with the use of a crane and tugboats, and positioned above its final site. 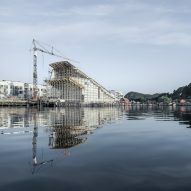 Snøhetta then flooded the structural shell with water to resist buoyancy, allowing it to sink to the ocean floor five metres below. 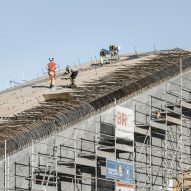 The building is now secured to a concrete slab with 18 bolts, which is anchored to the bedrock beneath the seabed. 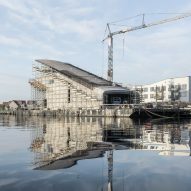 "In order to ensure a proper connection to the bolts on the concrete slab the construction team filled the structure with water to make it sink," the architecture and design studio explained. 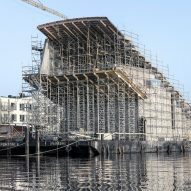 "After ensuring that all bolts were fully tightened, the water was drained away, allowing the interior work to begin." 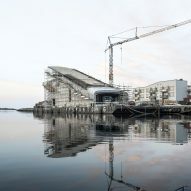 Under's walls are slightly curved and half-a-metre thick, designed by Snøhetta to tolerate extreme weather conditions and the one hundred-year wave. 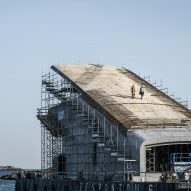 Its concrete shell has also been left with an exposed, rough texture to encourage marine life to cling on, and over time create an artificial reef. 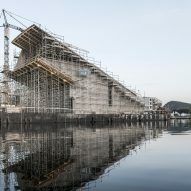 Inside, the underwater restaurant's interiors are designed to contrast with its rugged exterior, and are lined with oak and coloured acoustic panels to create a "warm atmosphere". 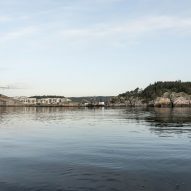 Out of hours, it will double as a lab for marine biologists to study fish behaviour, specifically their reactions to light, whether it is possible to train wild fish with sounds, and also whether fish act differently in different seasons. 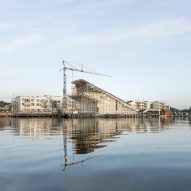 Founded in 1989 by architects Craig Dykers and Kjetil Trædal Thorsen, Snøhetta is an architecture and design studio with offices in Oslo, Innsbruck, Singapore, Austria, Stockholm, New York City, California and San Francisco. 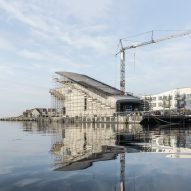 While Under is its first attempt at underwater architecture, the firm has designed a number of waterside buildings, including its most famous project, Oslo Opera House. Photography is by Aldo Amoretti.